Apologies for shamelessly ripping off the idea and title of a three-year-old classic thread, but this one has a twist. What car(s) do you lust after? What cars do you secretly scheme and plan and squirrel away cash to try to one day obtain? What cars do you consider using up every last bit of equity you've put into your relationship with your significant other, knowing they probably won't leave you if you bought this thing? And I'm not talking about million dollar hypercars, I'm looking at things that you could, conceivably, one day have sitting in your drive way. If only after you've sold a kidney and put a second mortage on the house. A new Morgan 4/4. For years unavailable in the States, but Morgan has concocted a scheme to get around import and other regulations by doing final assembly in the US. Starting price is around $70k, so it's on the outer edge of plausibility. But it's so beautiful. Audi RS6 Avant. More forbidden fruit unavailable in the US, but rumored to be coming over in 2020. Nearly 600 hp in a sleek wagon form. Take the kids to soccer practice with all their stuff in luxury, at a speed that would put me away for a long, long time. Citroen 2CV. I just want one. Simple. Cheap. Classic. Completely ridiculous. Porsche Cayman. I don't need a 911. I think the Cayman actually looks better, is almost as much performance in the context of not getting arrested, and is much cheaper. How am I going to fix the situation that these are not mine? Wait for the wife to go senile, wait for my 401k to accumulate several $million, retire... then it's straightforward. One of my wife's kidneys is available in exchange for an original Honda NSX! My dream vehicle is a truck...the 2018/19 Chevy Suburban RST or the smaller Tahoe RST...Rally Sport Truck..with the 6.2 liter 420 HP V8 engine. We do a lot of driving across western Canada ...the prairies...long...straight... highways...speed limits about 110 kph (68.5 mph). I need cabin size for comfort and to accommodate my long legs, shoulders, etc. I like cargo space to accommodate 'stuff'. Four wheel drive and Chevy truck robust build appeal to me. The Canadian Prairies have long, really cold winter and hot summers. Snowstorms are not uncommon. It's not really high buck, Euro sports job weather during our heavy winters, but the 'Sub' and Tahoe shod with good tires, allow drivers to handle this kind of weather with equanimity. I find sometimes when you're caught in a nasty snowstorm...equanimity is an option you want to be able to check off. These trucks are way out of budget for me...well over 80 grand I believe...well over 80 grand. But this is about the vehicle we would most like to have and these two are mine. I really want an expedition van. The actual brand doesn't matter, probably Ford Transit or Mercedes Sprinter. I want to handle a moderate dirt road, snowstorm, 75 on the highway with crosswinds, altitude, city, range. I want to be somewhat self-sustaining at the end of a dirt road. These vans can quickly turn excessive so the trick is only including what you need, so you aren't dragging around 10 tons of Unimog. This is probably diesel-powered. I want a car to cover distance, replacing some or all plane travel. My wife's SLK250 comes close to this, but is just barely big enough. I think the Mercedes-Benz C300 4Matic Coupe would work fine. "Only" 255hp and a four cylinder, but that's on purpose, because it adds to range. You can easily get 500-550 highway miles on a tank without trying. Commercial flights within this distance have much shorter flying time but door to door, carrying luggage you want, works out the same. My third choice doesn't quite reach the "lust" factor, but I want a Nissan Leaf. I want this because I want a huge rooftop solar installation and battery. I might as well use the system to charge the car, which will just run errands. A Tesla Model 3 would be better in a lot of ways, but a fender-bender could disable your 3 for months waiting for parts. The Leaf is just an appliance. I worked for a division of Grumman for 15+ years and now work for USPS for approaching that length of time. Nearly 100,000 were made. Since introduced in 1987 they have been the iconic postal small delivery vehicle in USA. Now they are being retired and auctioned off. If I had a garage and the time I would consider buying one. I could convert into a small camper van or use it as an economical small delivery vehicle for a side business. Last edited by ChrisPlatt; 11-02-2018 at 05:46 PM. Aluminum body by Grumman...who also made the wonderful aluminum canoes. They have Chevy 4 cylinder truck engines, similar to the old Chevy S-10 pickup...at least I think those were some of the specs...going by memory. What a long lived, hard working, durable machine. This not a Shelby Cobra. It is a Kirkham Motorsports aluminum-bodied current production vehicle, body hand formed on the original AC Motorcars bucks and delivered as a roller, ready to be engined. This will happen in 4 years (assuming I don’t lose it all in the market). Kirkham Motorsports Cobra 289 Street. Last edited by monochrome; 11-02-2018 at 09:34 PM. 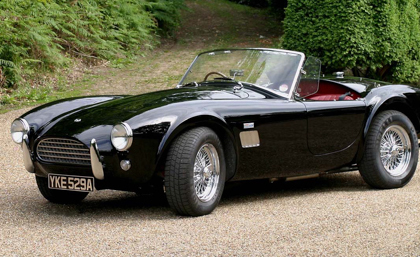 I do sort of recall that the fist AC Cobras had the Ford 260 at first. Then later on, the 427, sometimes the 428 FE, but I preferred the small block Ford V8 version, the 260/289, particularly the 289. When I say I 'preferred' ,,,it was all in my fertile imagination. In 1965 I got my first vehicle...a Jawa 50cc motorbike. Ok for a 16 year old. As an aside my FIL had a '66 Meteor (full size Mercury clone) 2 door Hardtop with the 428 / 345 hp V8, heavy duty C6 transmission. It was in their family from '66 to '71, when he traded it in on a '71 Mercury Marquis...429 (385 series) V8. 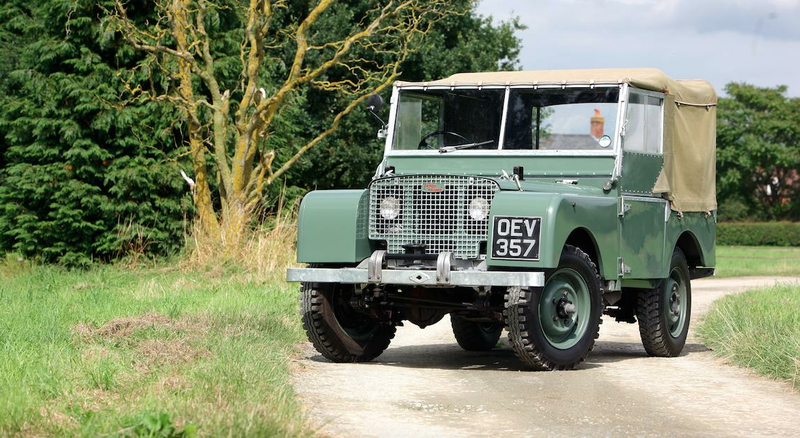 He used the '66 to commute from the city to his grain farm and back. Heavy car, but with the 428. it had a lot of mid range grunt..great for high speed passing. He used to run it on purple gas, which was farm vehicle only gas. I drove it a bit and I recall really liking it. Big, powerful, comfortable. 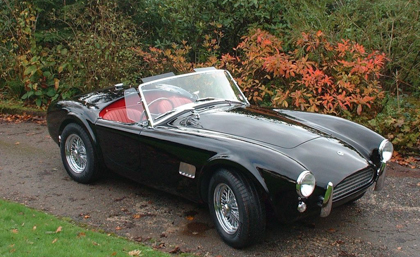 Anyways back to the AC Cobra. I wasn't aware of the Kirkham Motorsports production. Aluminum body, that is something. Beautiful choice of automobilia. What engine/ transmission combination are you considering ? The Ford engine from the 1960's that appealed to me the most, was the solid lifter 289 cube/ 271 hp V8. I think that would make a nice selection for motive power for this car. But that's me. I used to lust after the Sunbeam Tiger...289 engined version. Dark green. It has to be the original E30 BMW M3. I used to own the lowly E30 316 way back when, and the handling was just a joy. So you can keep your 911 if you want it, but I'll take the old Beemer thanks. I've seen those postal van things on TV shows set in the USA a lot and have always tried to work out why they used them instead of just using a normal van? Here in Aust the mail is delivered by either motorcycle (used to be Honda CT110, now NBC110), or by a regular old van (usually a Ford Transit or a Mercedes Vito) if it's a parcel. Slow, loud, leaky, under-powered, unreliable, unsafe, beautiful. In neighborhoods & cities here, where these postal trucks deliver; no way could a motorcycle handle the volume of mail AND parcels delivered daily. As also said previously, the right hand drive is very convenient for the postal driver, and time saving, for driving up and reaching into the curbside mailboxes. These Grumman-Chevy LLV postal vans were also used in Canada. In the northern states and Canada there is lots of snow, ice and jurisdictions commonly use salt to rid the roads of all that snow/ice. Problem with salt is that it corrodes regular metal (steel) and shortens the body life of vehicles made of steel. The Grumman was made of aluminum which resists the corrosive effects of salt much better and the body doesn't fall apart within 10-15 years. These Grumman vans were in service from about 1987 till I think around 2008 (Canada) and 2012 or so in the states. That is excellent life for a commercial light van. I've noticed the Canadian Postal service has replaced them with regular production Ford Transit Connects and are replacing the bigger Grumman vans with larger Ford Transit vans. Both these new Fords are...to my knowledge...made of steel. I think the Canadian Postal Service has made an error as with Canadian winters, I believe the regular production Ford vans will need replacing within half the life achieved by the Grumman vans, which were purpose made for North American postal conditions, particularly the corrosive effect of long winters. Just my opinion. Also you mentioned why can't motorcycles as used in Australia, be used in North America. Motorcycles as another poster indicated couldn't cope with the amount of mail that the Canadian postal and probably US Mail deliver on their daily delivery routes. Mail vehicles are usually loaded to capacity of small (Transit) or large (Grumman/Transit) before venturing out on their daily routes. You don't want to have to go back and forth to the mail depot to keep filling up...not effective use of time/vehicle. Last edited by lesmore49; 11-03-2018 at 09:01 AM.